Created this little number for my daughter using New Look 6843 pattern. I really like the finished product and managed to match the stripes at the seams...whew!!! My daughter had the perfect top to match... and loved it, she plans on wearing it when she meets up with her friends for dinner next week ... I'm looking forward to working up one for myself. 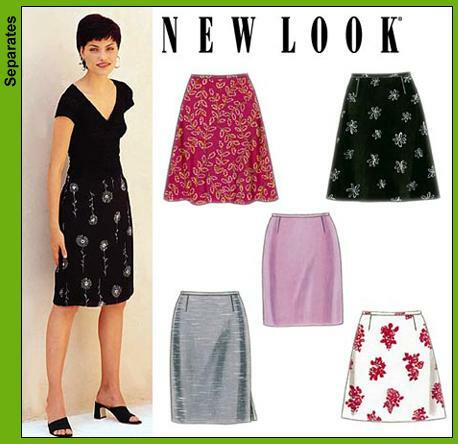 The pattern has four variations and I decided on Skirt A, which is a flaired style... a good staple for any wardrobe. Gardening, crocheting, sewing, wow, you're one busy lady. 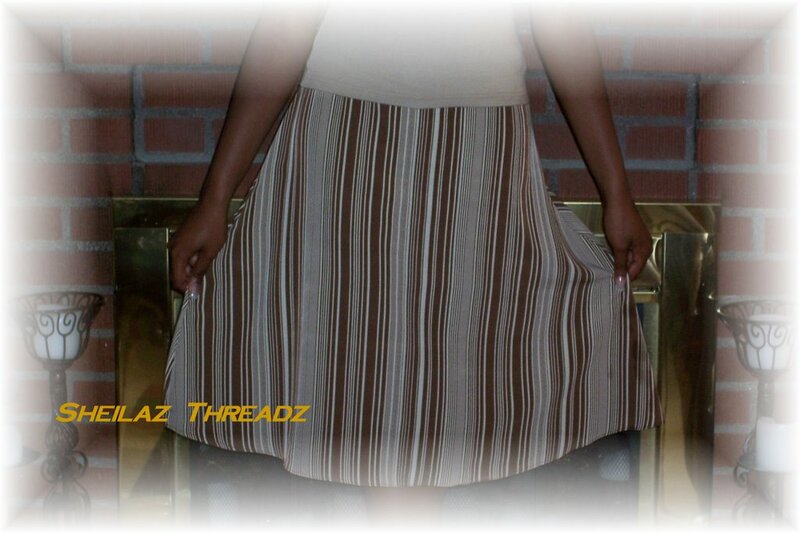 Great job on the skirt.